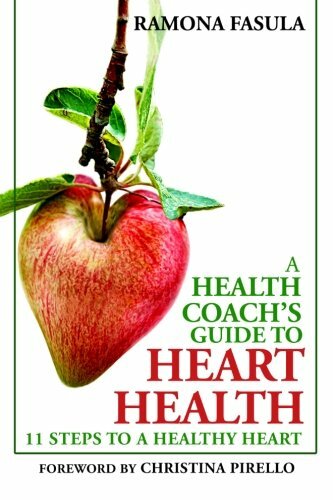 about this book: This book is a step by step guide that teaches people how to prevent heart disease, which is the number one killer of both men and women in this country. It doesn't have to be. I wrote this book because my Mom had suffered a heart attack a year and a half ago. She felt fine before it happened, which is the case with most people; there isn't any warning. The doctor found blockages and said that she was headed for a massive heart attack. She was very lucky. After losing my Dad to complications of diabetes, you can imagine what I went through worrying about my Mom. This book is very personal. I don't want anyone to suffer from a disease that is so easily preventable. My goal is to reach millions of people throughout the world and save lives. Everyone should have a copy of this book. It could save your life or the life of your loved ones. As a health coach, I was able to draw upon my education in writing this book. I also spent a lot of time researching statistics, and the numbers are astounding. Spreading the gift of health is my legacy and my purpose in life, and this book supports my mission. I hope that everyone who reads this book, follows each step, and lives a long life full of good health and happiness. Good health is not as difficult to achieve as everyone thinks it is. I make it easy with this book.